There is a story about a boy flying a kite. The kite was so high that it had disappeared into the clouds. A man came by and asked, "What are you doing, son, holding on to that string?" The boy answered, "I've got a kite up there." The man looked up and said, "I don't see it." The boy replied, "Well, I know it's there because I can feel the tug." That's like the witness of the Holy Spirit within us. We may not always see the evidence, but we feel a tug in our hearts constantly, letting us know that we are in touch with God. That is the witness of the Holy Spirit. John's first Epistle is an examination book written so that we might have assurance and not doubt. Besides the witness of the Holy Spirit, five other points are brought out in First John that must characterize us if we are to be sure that we belong to God. First, we must believe in the Savior, Jesus Christ. Someone asked Sundar Singh, the great Indian Christian, why he was a Christian and what he found in Christianity that he couldn't find in the other religions of India. He answered with these two words: "Jesus Christ." There is no other One who died for the sins of the world. There is no other One who rose from the dead. There is no other One who gives the hope that he is going to return and set up his Kingdom. 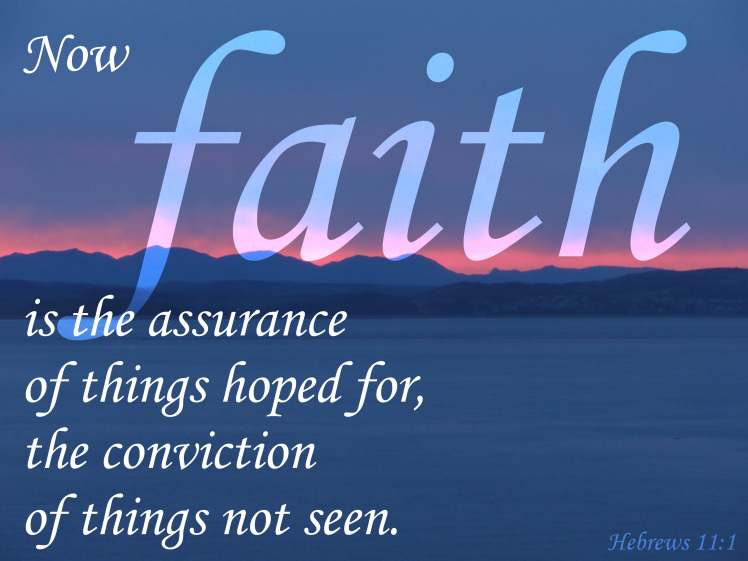 The Scripture says, "Now faith is the assurance of things hoped for, the conviction of things not seen." 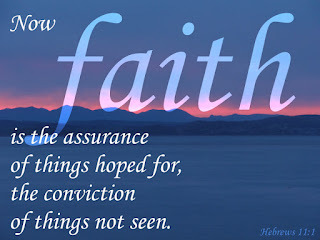 (1) Faith carries with it the idea of accompanying assurance. If we have faith, God gives us the assurance, the certainty, the knowledge, that we have passed from death unto life. Do you believe? That word "believe" carries with it the idea of total surrender, putting total assurance in what Christ did for us on the cross-not trusting our good works, not trusting our money, not trusting anything, not even church membership, but trusting in the Person of Jesus Christ. Second, we must have a changed attitude toward sin. What does that mean? Well, 1 John 5:18 says, “We know that whosoever is born of God sinneth not" (KJV). You say, "Oh, but, certainly Christians sin!" Do you know what "sinneth not" means? It means, "Does not practice sin." We don't practice sin. Sin is no longer a habit in our lives. Not only are we to confess, but also we are to forsake. There's no use repenting of sin and saying, "I'm sorry, Lord, I've sinned," and then going back and repeating it. That's not repentance. Repentance carries with it the idea that we do not repeat it. In other words, sin is no longer a practice in our lives. We may slip and fall from time to time, but it's not a practice. We don't deliberately do it. That's the reason the Bible teaches that the Christian life is a daily life. The Scripture says we are to "exhort one another daily." (4) We are to take up our cross daily. We search the Scriptures daily. And we must renew our fellowship daily. The Scripture says deny self, daily. It's hard. We are living in an age when the pressures on us are greater, perhaps, than in any other generation in history. Jesus commanded, "Go into all the world and proclaim the gospel." (7) Our Team has been going to every continent, to the nations of the world, declaring that Christ is the Answer, that Christ died to save us, that Christ rose again, that he's coming back. And on every continent, in every culture with every ethnic background and every political ideology, we've seen people by the hundreds say "yes" to Christ. Fourth, we must try to be separated from the world. First John 2: 15 says, "Love not the world, neither the things that are in the world" (KJV). What does "the world" mean? That word in Greek is "cosmos," and it means the world system that is dominated by evil. "If any man loves the world, the love of the Father is not in him. For all that is in the world, the lust of the flesh, and the lust of the eyes, and the pride of life, is not of the Father, but is of the world." (8) That means the order, the behavior, the fashion, the entertainment, whatever is dominated by evil. Satan is called "the god of this world" and "the prince of this world." The Bible teaches we are to live in the world, but we are not to partake of the evils of the world. We are to be separated from the world of evil. "Touch not the unclean thing," says the Lord. (9) When I face something in the world, I ask, does it violate any principle of Scripture? 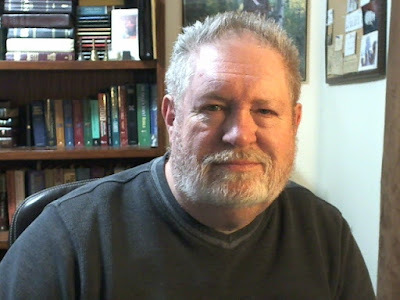 Does it take the keen edge off my Christian life? Can I ask God's blessing on it? Will it be a stumbling block to others? Would I like to be there, or be reading that, or be watching that, if Christ should return at that time? Worldliness does not fall like an avalanche upon a person and sweep him or her away. It is the steady drip, drip, drip of the water that wears away the stone. And the world is always exerting a steady pressure on us every day. Most of us would go down under it if it weren't for the Holy Spirit who lives inside us and holds us up and keeps us. Fifth, we must be filled with the Spirit. The first fruit of the Spirit is love. “We know that we have passed from death unto life, because we love the brethren. He that loves not his brother abides in death." (10) Do you love? Does love dominate your life? I'm asking you to make a commitment and be sure that you belong to Christ. You see, Christ took your sins on the cross; those sins are behind God's back. He has forgotten them because of Christ. That is what happens when you come to Christ. He doesn't see your sins; he sees the blood of Christ. God offers you the greatest and most expensive gift in the whole world - eternal life, but you must receive that gift. God gave his Son. His Son rose from the dead. You can be sure of it. If you truly receive him, you will be sure. Taken from "Your Christian Life," ©1965, 1968, as "Aids to Christian Living," 1986 as "Practical Steps in Christian Living," 1995 as "Beginning Your Christian Life," 1997 as "Your Christian Life," Billy Graham Evangelistic Association. (1) Hebrews 11:1, NASB. (2) 1 John 1.7. KJV. (3) 1 John 1.9, KJV. (4) Hebrews 313, KJV. (5) 1 John 2.3, KJV. (6) John 20:21, KJV. (7) Cf. Mark 1615. (8) 1 John 2:15-16, KJV. (9) 2 Corinthians 6:17, KJV (10) 1 John 3.14, KJV.